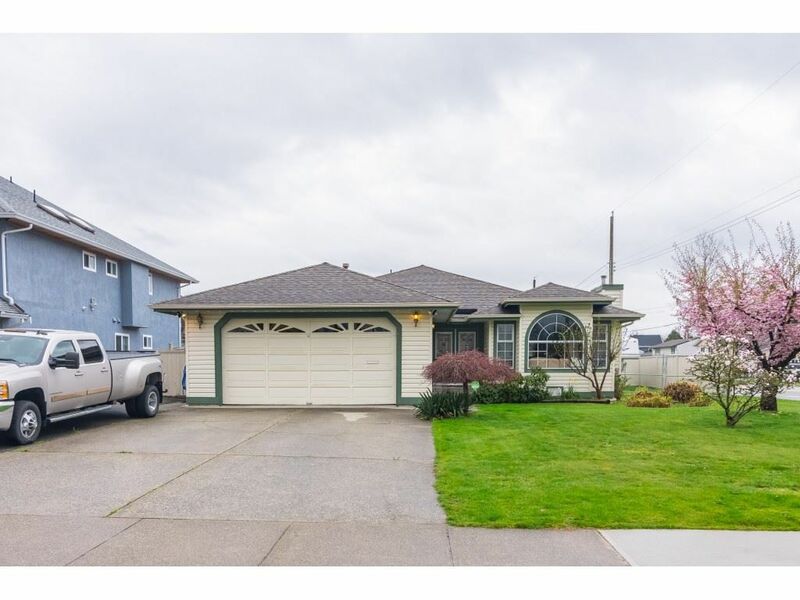 Enjoy one level living in this well-kept spacious 1882 Sq Ft Rancher on a 7112 Sq Ft corner lot with loads of parking and only steps away from the Cloverdale Athletic Park. Home features 3 bedrooms, 2 bathrooms (1 with skylight), 35 yr roof installed 2008, 2 yr Air Conditioner & Furnace, crown moldings, huge crawl space and 2 gas fireplaces. A bright welcoming foyer transitions to sunny living and dining rooms, while the open concept kitchen with plenty of cabinets, eating area and large family room with glass sliding door flow through to the 2 yr beautiful covered TREX patio complete with 2 ceiling fans/lights and sunshades ideal for family gatherings, BBQ's, & entertaining. Wheelchair friendly w/ramp from garage, wide hallways & doors, & walk-in tub in ensuite. Fully fenced backyard complete with 10 x 12 shed and room for RV/Boat storage. Easy access to Hwy 1 & Hwy 15 to US, shopping, & schools.